Immediately before cooking broccoli rinse under cold water and divide into small florets, cutting them off from the legs and cutting off branches. Feet, cut into small pieces. 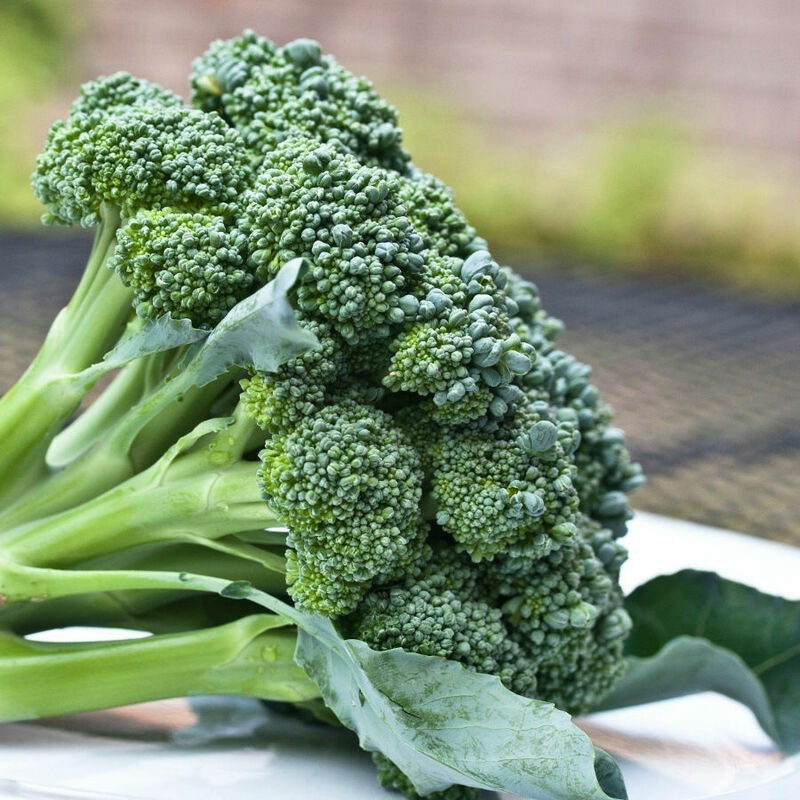 Broccoli to throw boiling water - thanks to retain most of their juices. Fresh broccoli cook for 5-7 minutes. Time start to count from the time of re-boil water. Immediately after setting with salt (1 teaspoon per 1 liter of water). It is also slightly sweetened, which will make the broccoli retain their green color. In the middle of the cooking water may be added to the milk to aid in preventing leaching of calcium from bones by the microelements contained in broccoli. After boiling pot discover that had faded essential malodorous, then-cooking under cover. Cooked broccoli should be slightly firm, slightly crunchy, yet cooked, with adequate softness. When cooked broccoli drain off. In order to maintain a beautiful green color you can toss cooked broccoli for 1 minute into the water with ice cubes. Broccoli can be administered, sprinkled with browned breadcrumbs and topped with melted butter. See how to boil frozen broccoli.